Product prices and availability are accurate as of 2019-02-05 14:07:53 UTC and are subject to change. Any price and availability information displayed on http://www.amazon.com/ at the time of purchase will apply to the purchase of this product. Old world style for the modern kitchen: the talavera collection features bake and serve ware inspired by the intricate designs of century-old Mediterranean pottery. This elegant collection transitions easily from oven to table, keeping foods warm and ready to serve. Perfect for healthy cooking, the non-porous glaze will not react with food or flavors and every piece can be used in the oven, microwave, freezer and dishwasher. 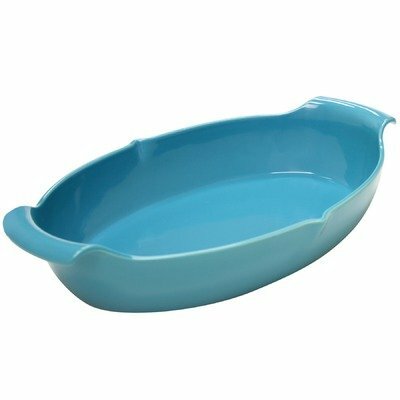 This oval baker is available in sea blue.